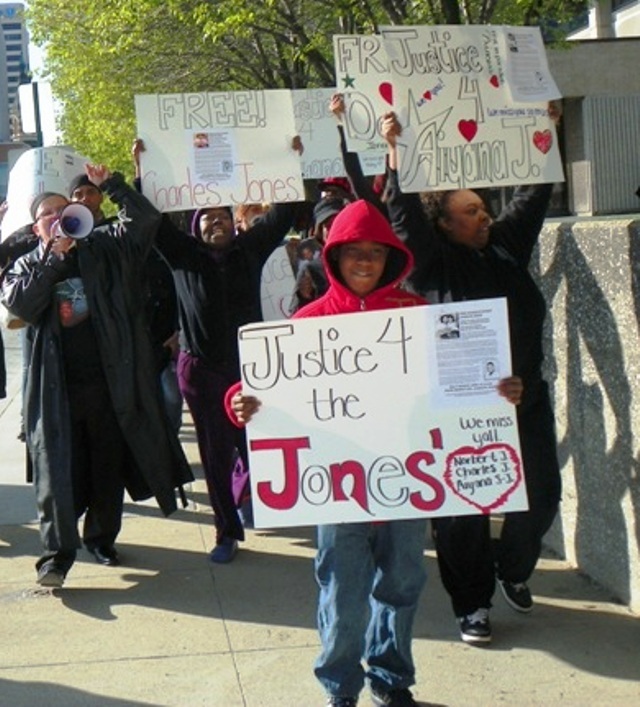 14-year-old Rafael Jones leads march for Justice for Aiyana and freedom for Charles Jones April 23 at Frank Murphy Hall in downtown Detroit, with his grandmother Mertilla Jones (l), and aunt LaKrystal Sanders (r) holding signs behind him. 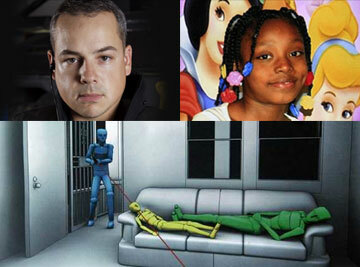 Killer cop Joseph Weekley, Jr (l), Aiyana Stanley-Jones (r); below is expert depiction of Aiyana’s killing by Weekley as she slept with her grandmother. DETROIT – Wayne County Circuit Court Judge Cynthia Gray Hathaway delayed ruling on a motion to dismiss charges against Detroit Officer Joseph Weekley, Jr., killer of Aiyana Stanley Jones, 7, during a hearing Sept. 28, until after the child’s father is tried for first-degree murder in another case. 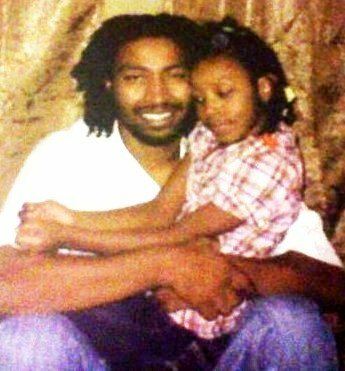 Charles Jones with his only daughter Aiyana. Jones also has six younger sons. Jones was sleeping on a front-room couch with Aiyana when police lobbed an incendiary grenade through a window overhead, and watched as Weekley shot her granddaughter to death. Joseph Weekley at arraignment. He lives in wealthy Detroit suburb of Grosse Pointe. During the hearing, the diminutive Weekley sat stone-faced in the courtroom and avoided looking at Jones as she passed by. Police claimed Jones had “interfered” with Weekley, but never charged her. According to witnesses, after racing Aiyana’s body out of the house, they terrorized the rest of the family, including infants and children, before arresting Owens. He lived in a flat upstairs from the Jones family. Weekley and Charles Jones were arrested a year-and-a-half later, after a prolonged Michigan State Police investigation and secret one-man grand jury proceedings in front of Wayne County Circuit Court Judge Timothy Kenny. Kenny charged Weekley, while Wayne County Prosecutor Kym Worthy charged Jones and Owens. Hathaway, the prosecution and the defense appeared to collude during the Sept. 28 hearing. “I’ve discussed the situation at length with Officer Weekley, and he absolutely agrees with me and quite frankly with the prosecutor and the court that his trial should be delayed,” defense attorney Steven Fishman said. Moran had just explained that the prosecution is waiting for a ruling from the Michigan Supreme Court in Jones’ case. 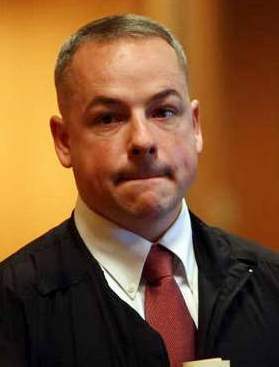 He and Owens face trial before Wayne County Circuit Court Judge Richard Skutt, who earlier barred the use of hearsay testimony by “jail-house snitch” Jay Schlenkerman against Jones. Moran at first called the Blake killing case a “companion case,” then corrected himself. The companion case in Weekley’s trial is that of Allison Howard, an A&E producer charged with perjury and interfering with an investigation of Aiyana’s killing. Skutt said the testimony could be used against Owens, who Schlenkerman cited as his source, but not against Jones, under Michigan Rules of Evidence. He said that Schlenkerman, a six-time felon with a history of severe domestic abuse and drunk driving, appeared to have constantly prompted Owens to obtain an alleged statement that Charles Jones gave him the gun used to kill Blake. The prosecution asked the Michigan Court of Appeals for leave to appeal. Instead, an appeals court panel consisting of Judges Michael Talbot, a member of the right-wing Federalist Society, Kurtis Wilder and Kirsten Kelly summarily reversed Skutt’s decision Aug. 13. Jones’ attorneys, from the offices of nationally-known attorney Geoffrey Fieger, have asked the Supreme Court for leave to appeal that ruling, and according to Moran received a stay pending their decision. Hathaway held a lengthy secret sidebar with both Moran and Fishman prior to her ruling. 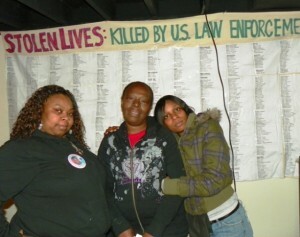 Aiyana’s aunt LaKrystal Sanders, grandmother Mertilla Jones, and mother Dominika Stanley at national police brutality coalition meeting in May. She indicated that it would be best to postpone her ruling on the dismissal until after the Jones/ Owens trials, since that would give her time to review the discovery materials. Hathaway has had the cases against Weekley and Howard since November 11, 2011. Meanwhile, she scheduled another pre-trial hearing for Weekley for Oct. 29, after pre-trial hearings in the Jones/Owens case are held. Jones’ trial had been set for Oct. 22. In a civil case brought against him by Aiyana’s family members, Weekley’s attorneys are trying to delay that trial until after the Jones/Owens’ criminal trial. On Oct. 11, at 9 a.m. Wayne County Circuit Court Judge Daphne Means Curtis will hold a hearing on a defense motion for a stay of proceedings. A status conference is set for October 26, with trial scheduled for November 11, 2012. Curtis earlier denied a defense motion for a “protective order” to seal records in the case, including depositions of the officers involved in the raid. She ruled that those depositions should go forward on the completion of the State Police investigation. It is unclear from court records, however, if the officers have been deposed. 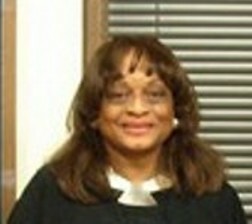 Defense attorneys from the firm of Plunkett & Cooney, paid by the City of Detroit, have however deposed many of those in the Jones family, according to Mertilla Jones. Sky banner flown by the Justice for Aiyana Jones Committee across Detroit on the first anniversary of her death, May 16, 2012. I respect the comments just made, except on the recent one, I differ. Minorities are enevitably profiled. The Leos should be more careful, plus they fail to apply the “minimum frc” to perform. The lifestyle of the innocent ones are lumped in these so called raids to catch the villian. Dont blame it on the innocent ones because they couldn’t afford a more affluent area where there is less harrasement by LEOs. You don’t have to live in Baltimore city to know that the police are not trustworthy. Being a free Black person in America is against the law. Either the police will murder you or the judge will put you in prison for life because they can do it. This country has this new system of slavery – ‘The New Jim Crow”. To kill a slave is not against the law. It may some more years, but there will be another war, ‘people against police’ and some of the people will be ex law enforcement personnel. I am a black man & a police officer of 25 years. We as black people have to stop blaming the police & the judicial system and the white man for our problems. Black on black crime are the reasons why in predominantly black neighborhoods we have the highest crime rates, lowest property value, lowest highschool graduation, even low college entry & gruaduation rates. When do we look at ourselves and fix our problems starting at home. Seek higher education, going to church, teaching respect for ourselves, others & the elderly. Instilling morals and good value in our children, teaching them how to pay bills on time and build credit and stop looking for the short cuts and the hook ups. It seems we care more about what we drive and who we’re wearing. When we learn that we are our own worst enemy we will then have admitted that we are the problem, hopfully we can begin to heal ourselves & stop blaminng others for our problems. Look in any area that we (black) predominatly occupy you have all the problems mentioned. Ask yourselves why is that? Coming from a black man……. I live in Baltimore city and if you wer to do a poll 9 out of 10 will tell you they do not trust the police and the do the same thing that the street people do but it just take them longer to get caught. They are more shady then a regular joe on the street and most of them think they are above the law.